Typically when I walk into the craft supply store, I work hard to keep myself focused on the project at hand. I ignore the rows of colorful markers, the patterned card stock and the amazing textures of yarn that I don’t even know how I would use. I don’t want to fall into the “Target” trap that many people face when they enter the big red and white superstore. But today wasn’t a typical day. Today was the day that Michael’s had so many great deals on so many of my favorite craft supplies that I couldn’t resist the urge to stock up. It was like back-to-school shopping for creatives! I know some of you love crafty stuff as much as I do, so I wanted to share with you a few of my finds and how I plan to use them. 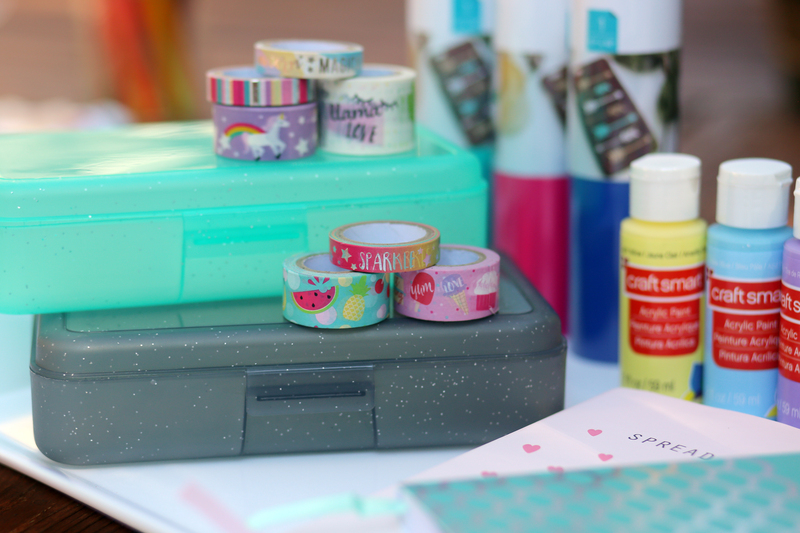 Let’s start with the washi tape. 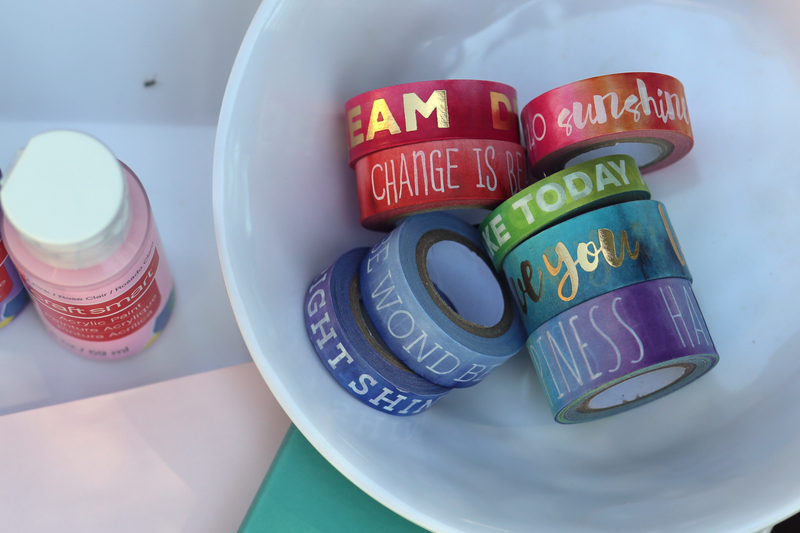 I love colorful rolls of washi tape. I use them almost everyday, whether it’s to put a quick label on something, wrap a gift, or just add a strip of color to a journal page. But washi tape is surprisingly expensive. Some stores sell it for $3-$4 for a little roll. This week, Michael’s has super cute packs of eight rolls for $5. They are normally $14.99, so even with a 40 percent off coupon, you couldn’t get them for $5. Here are a bunch of examples of how I have used washi tape in the past. There are few things I love more in life than a cute notebooks. I go through notebooks like crazy. I like to always have one on my desk at home and one in my bag for work. I jot down thoughts and idea throughout the day. When I’m working in Photoshop or a web site, I often need to write down the hex value of a color or the dimensions of a project or the name of a font I want to get. My notebooks are full of these little secret codes. While I love technology for so many things, I still prefer handwritten notes on a page (preferably with colored pens) to keep track of daily tasks. 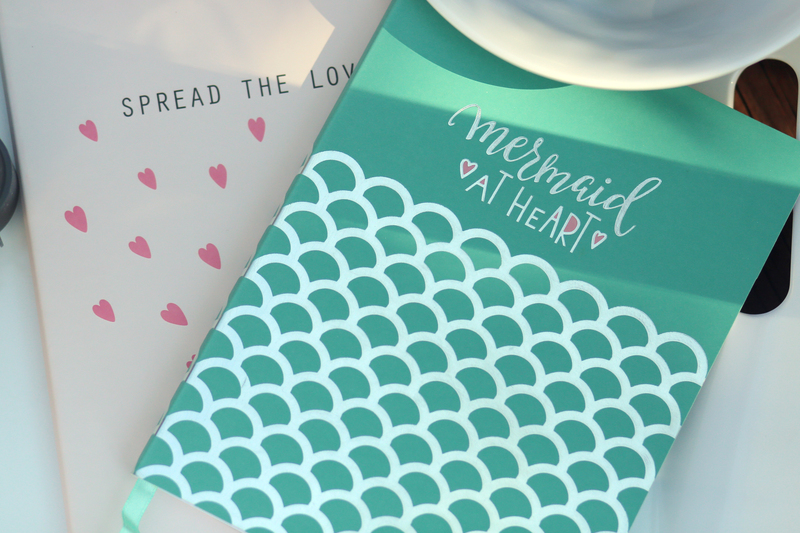 These notebooks have a soft cover and a built-in bookmark and they are only $5. I go through rolls and rolls of adhesive vinyl with all of the projects that I make on my Silhouette machine. The vinyl is expensive, and it’s always excluded from the 40 percent off coupons that you can use at craft stores. Typically, adhesive vinyl is around $10-15 for a roll. Michaels has some great colors of the Cricut brand vinyl on sale for $5 this week! The rolls are only one sheet, but they are still a great deal since this stuff rarely goes on sale. Plus, it gives me a chance to try out several colors for some projects I’ve been planning in my mind. Why on earth would I go crazy over pencil cases? Well… because these plain colored pencil cases are going to be my next craft project. My daughter and I are going to be personalizing, painting and decorating these together. They are only $1 so I picked up a couple of them so she’ll have an extra to tote her markers and pens when she wants to take them on the road (which is often). Whether we’re painting rocks or a canvas, we go through a lot of acrylic paint. These little bottles are typically around $1 each. But Michael’s has four-packs in their bargain bins for $3. I picked up this set because I love the colors! These are colors that don’t typically come in their large multi-pack of paint, so I was excited to see them. 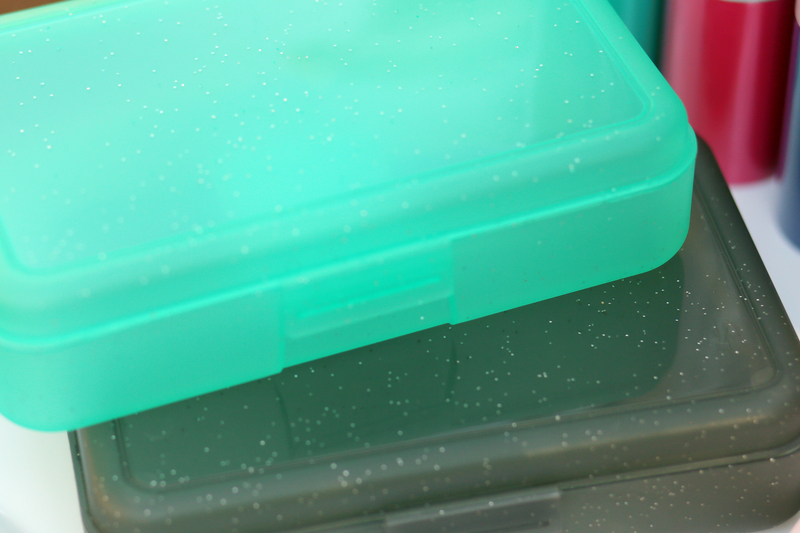 So, that’s my little craft supply round-up. 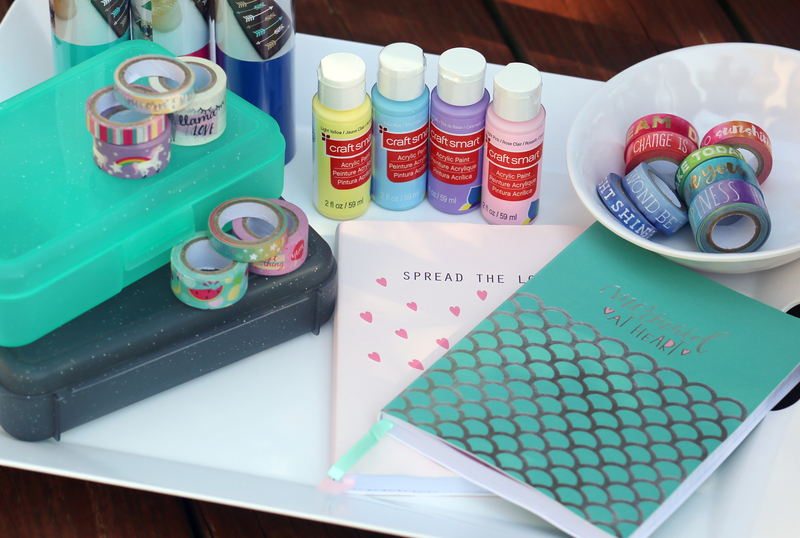 If you love craft supplies as much as I do, please leave me a comment and tell me your favorite! I totally can relate! Especially with the cute notebooks. I seriously prevent myself from entering a bookstore every time I go to the mall because there’s just no way i’m not buying a notebook when I see a cute one!